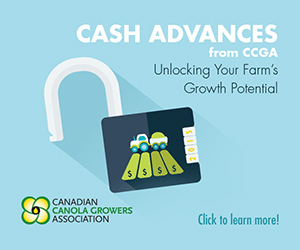 The Classroom Agriculture Program (CAP) explains the value and importance of agriculture in Alberta and highlights the vast opportunities in agriculture and the people, producers and industries that drive this trade. 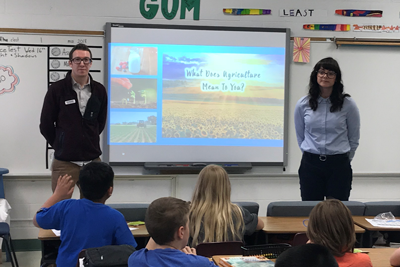 Alberta Canola’s summer students Jadon Hildebrandt (policy) and Brooke Hames (public engagement) took part in this initiative and visited 4 schools in St. Albert to talk to students about canola and agriculture. 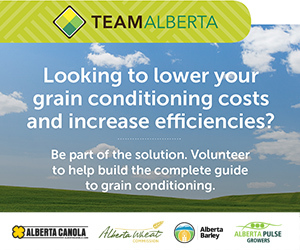 Jadon Hildebrandt and Brooke Hames representing the Alberta’s canola producers. The Classroom Agriculture Program was an unbelievable experience because we were able to accomplish so much in such a short period of time. We were able to inform and educate 102 kids over 2 days, which doesn’t seem like a lot, but in the grand scheme of things it is. With the way the world is now in regards to sharing information via the internet, social media, and word of mouth, we in actuality probably reached a much larger audience! 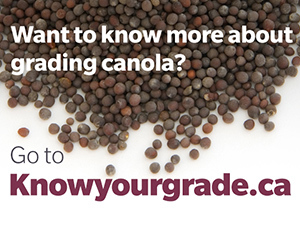 This is important for canola farmers because we were able to address a variety of myths pertaining to the agriculture industry. Kids in the classes learned about modern farming practices. 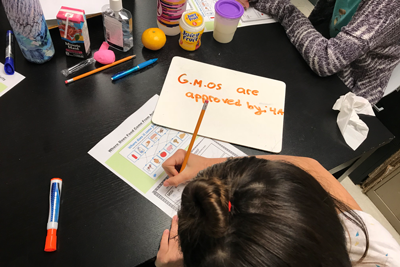 The Classroom Agriculture Program is an invaluable resource that allows farmers and volunteers like her, to impart their knowledge onto young minds. I grew up on a grain farm just outside the small town of Marwayne and have always had the privilege of seeing agriculture up close. Many of these students have never been on a farm. So I love being able to share my background and talk about things I grew up with. Seeing the amazement in the student’s eyes, lets us know we are doing a good job and impacting their lives in a positive way. For our presentation we focused on agriculture myths. Talking about myths, in general, is a passion of mine because the internet is full of false information. The sooner we can extinguish these myths, the more prepared the younger generation will be to deal with world problems, like food security, malnutrition, and sustainability. Overall, being able to influence the next generation on the importance of agriculture and how amazing farmers are, was such a rewarding experience. Seeing the students so eager to learn, and at the same time shocked by the truths we shared was equally rewarding. 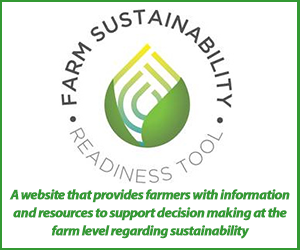 The CAP program works to successfully educate students, parents, and teachers on not only the importance of agriculture, but the importance of finding truth wherein many falsehoods reside. We see this program as being of vast importance to the grade 4 curriculum, and it should continue to be a major part of it. We both would like to thank Alberta Canola for the wonderful opportunity to educate the bright young minds of the future on the importance of Ag!